1. Play pickup basketball. Open gyms for people of all ages usually happen at least once a week in communities. If you love the sport of basketball, try to play an hour or two of pickup basketball at least once a week for a great workout. Plus, you can dust off your game against some of your friends! There is nothing like a little pickup basketball to get the competitive juices flowing. 2. Hit the swimming pool. Find your local community center’s pool and get in some laps before or after work. Swimming is a low-impact exercise that doesn’t put a lot of strain on your muscles or joints. It might even beat yoga as the best training method to improve your breathing. The best part? Swimming helps you lose weight faster than any other workout. back. Try to race a friend to the top to see who is the fastest! 4. One of the more popular ways to burn calories these days is by joining a dodgeball league. It’s just like going back in time to gym class when you were in elementary school! It’s always fun to play a competitive game of dodgeball with your co-workers or friends. Dodgeball is a good cardio workout because of the different ranges of motion that go into it, including ducking and flying all over the court to avoid getting hit. You might be a little sore afterward if you haven’t done it in a while, especially in your arms, so be sure to warm up and stretch your muscles before beginning. Remember the five D’s of dodgeball: dodge, duck, dip, dive and dodge. 5. Take a spin class. Riding a bike, whether you’re inside or outside, is still enjoyable and a great full-body workout. A spin class is an intense indoor cycling class that helps you burn hundreds of calories each session without struggling through the snow and slush outdoors. You can really focus on strengthening your glutes, thighs and calf muscles. It also helps strengthen your core. And the best part is you don’t have to wear a helmet inside. 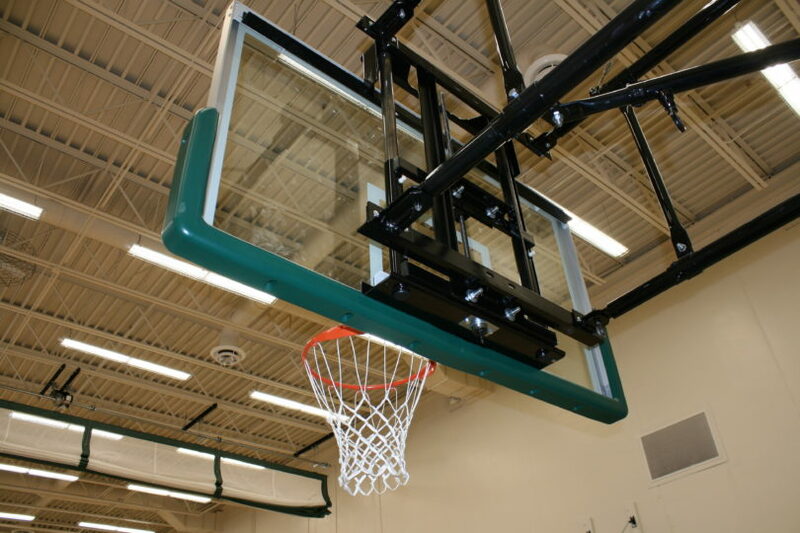 If you’d like to find out more about Sport Court’s indoor court and gym options, make sure to visit us online at www.sportcourtmn.com or www.sportcourtwi.com. To look at some of our indoor courts, visit us here. We wish everyone a safe, happy, and active winter season!